DescriptionFaces of Loss is an exhibition that focuses on the victims of the Holocaust, whose families later immigrated to Canada and now live in Vancouver. 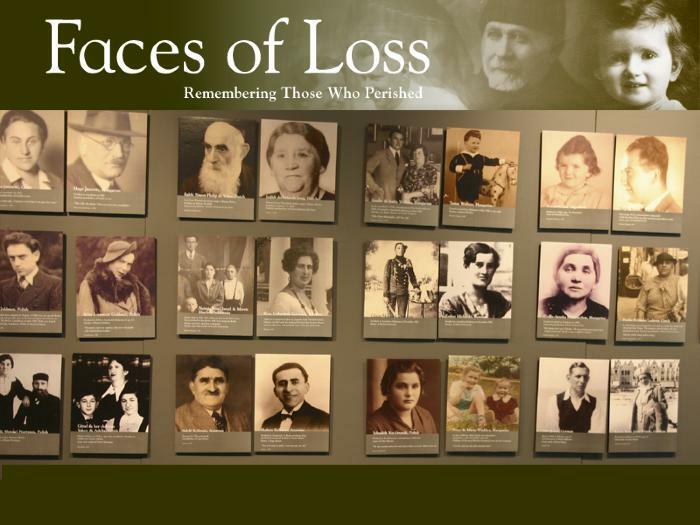 Survivor and other Vancouver families contributed their precious few pre-war photographs, of some of their family members who were lost during the Holocaust. In many cases, no photographs remain of those who perished. The exhibition serves to remember and mourn these victims, while restoring the human, personal element to what has become an abstraction of numbers.